Extraordinary New Construction in Mooresville! 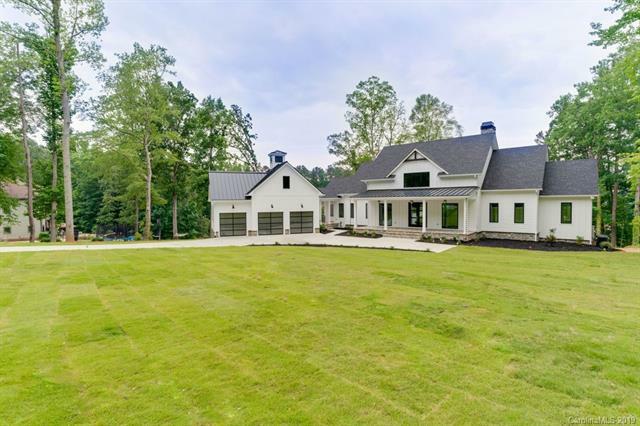 This Modern Farmhouse brings you the comfort & grace characteristic of the style fused w/ the serene happiness of LKN H20front living. The welcoming front porch spans the front façade & the large back porch is the ideal place to entertain. Exquisite woodwork contrasts w/ light walls & large open rooms- trademarks of the style & accolades to the talent of this builder. The dining area is accentuated w/ an elegant herringbone barnwood ceiling & is open to the kitchen & spacious family room. A stunning kitchen is a must & this one more than delivers w/ crisp white cabinets & all the extras. Find solace in the large master BR that is adjoined by a gorgeous modern bath. The Upper level offers spacious secondary bedrooms. The LL is excellent for entertaining & features a kitchenette, wine cellar & lots of flex space. Stroll down to the new dock w/ gazebo & take in the impressive views from the tranquil cove. Immense quality construction!